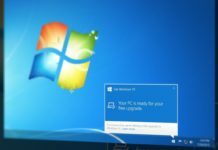 Last month Microsoft’s browser Internet Explorer lost the No. 1 spot to Google’s Chrome, after a 21-year lifespan of IE. According to Net Applications, Microsoft’s IE and Edge has an overall downward trend against Google Chrome’s growth has resulted in IE+Edge having 41.4% of browser share and Chrome now has 41.7% in the month of April. 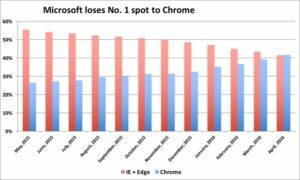 Like smartphone race, Microsoft has not done enough for the evolution of their browser IE which has cost them the Market Leader title again. 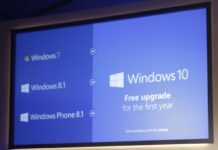 But after Microsoft’s CEO Satya Nadella has taken charge, Microsoft has been doing great with new unique features to nearly everything they launched. 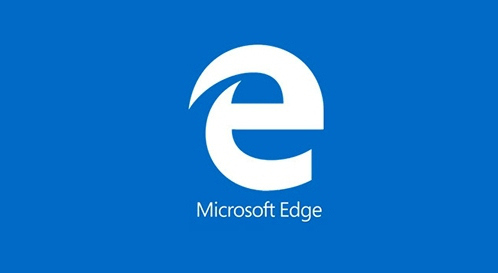 Microsoft Edge is also getting great new features and we hope it will get attention when anniversary update is available to users.